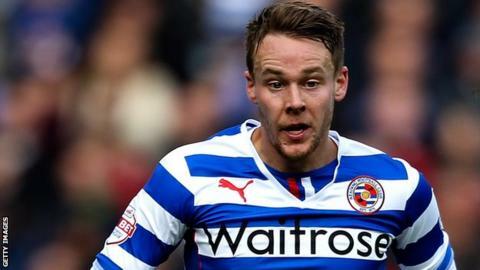 Reading defender Chris Gunter is seeking another winning run after their second league defeat of the season. The Royals saw a seven-game unbeaten run end in a 1-0 home loss to Derby in midweek but have a chance to atone with a trip to Bristol City on Saturday. The Robins find themselves in the Championship relegation zone and are yet to win at home this season. "We have a chance to go there, get a positive result and start another unbeaten run," Gunter, 26, said. The Welsh international, who joined Reading from Nottingham Forest in 2012, added: "We need to make it last as long as possible. As soon as it finishes, the aim is to start a new one." Bristol City have conceded eight goals in their three home league matches this term and Royals manager Steve Clarke believes he knows what to expect from the leaky Robins. "I have watched them a few times on DVD this week. I know them, I know their system and I know how they play," he told BBC Radio Berkshire. "They have conceded a few goals and I don't know if [manager] Steve Cotterill may tighten it up or if he wants to have another open game." Reading will be without Portuguese striker Orlando Sa, who will begin his three-match ban after being sent-off against Derby. Meanwhile, 21-year-old forward Dominic Samuel has agreed a new contract with the club to run until 2018. "Dominic has an eye for a goal which, as everyone knows, is a priceless commodity in the game," boss Steve Clarke told the club website.